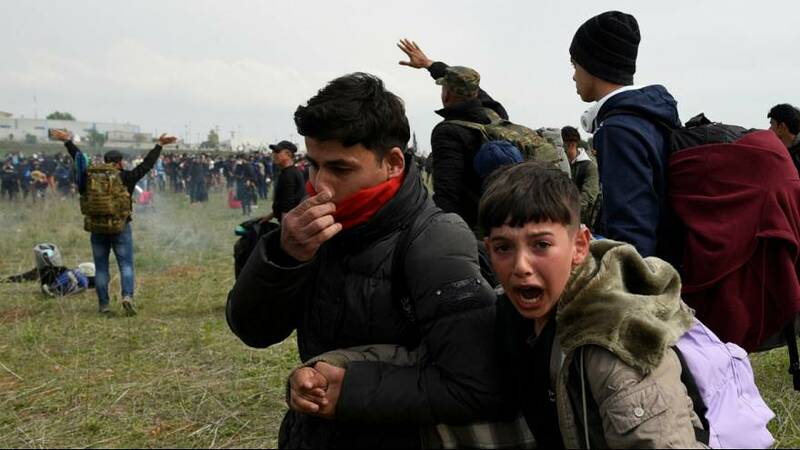 Greek police have clashed with groups of refugees and other migrants camped close to the Macedonian border at Diavata. Hundreds of people had arrived on Thursday hoping to cross over and travel onward to northern Europe. But riot police fired teargas at dozens of them - some with children in their arms. Some then threw stones and bottles as they tried to break a police cordon and reach a road leading to the border. They had travelled to the area due to false reports of plans for an organised movement to cross Greece's border with Albania in early April. The rumours quickly went viral on social media. Tens of thousands of refugees and migrants, mainly from the war torn states of Syria, Iraq and Afghanistan, remain stuck in Greece. When Balkan countries closed their borders in 2016, their route to northern Europe was shut down.